We encourage you and your family to have regular health screenings and schedule an annual wellness visit with your healthcare provider to review the results and discuss any necessary follow up. Getting flu shots and regular screenings for cholesterol, glucose and blood pressure may increase the likelihood of a longer, more productive life. In an effort to promote a healthy workplace and strive to keep everyone’s cost for health care coverage affordable, the City of Woodstock will continue the TargetCare Wellness plan along with its current participation requirements. The City of Woodstock highly recommends that every employee participating in the City of Woodstock’s medical insurance also plan to participate in the Clinical Health Assessments (CHA). For those of you who participate in the CHAs, the cost of your healthcare premiums will be less than those who do not participate. The reward for participation in the wellness program is $75 per month. To complete your Clinical Health Assessments (CHA), go to https://targetcare.hp.deerwalk.com (Do NOT put www. in front of the web address as it will not take you to the correct site). Click the ‘Register’ button on the top right of the page. You only have to register once. To schedule the review of your CHA results with a TargetCare provider, go to www.appointment.com/tccow. 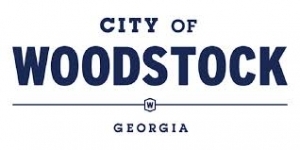 As the City of Woodstock strives to improve the overall health and wellness of its employees and the impact it will have on the cost of healthcare, the City of Woodstock currently offers a tobacco free discount of $75 per month for employees that are tobacco free. In order to receive the discounted rate on your premiums, you are required to complete an affidavit stating that you are and have been tobacco-free for the past 90 days. This tobacco-free affidavit is to be completed on the BeneTrac Enrollment System. Please note that you will need to complete and submit the affidavit to receive the discounted rates if you are a non-tobacco user and wish to ensure non-tobacco rates. For questions, please contact Human Resources @ (770) 592-6007. If you feel you are unable to meet any of the wellness program requirements to earn the wellness reward/avoid the tobacco surcharge, you may be able to earn the reward/avoid the surcharge by alternative means. Please contact TargetCare for additional information. City of Woodstock employees are eligible for a free membership to Gold’s Gym which provides free group fitness classes at their facility located on 301 Gold Creek Trail off Highway 92. Each instructor brings you World Class programming from Les Mills. For more information, please visit www.goldsgym.com/gyms to find out more about the group fitness classes.